This is the first time a conservation organization has been the subject of a complaint to the OECD (Organization for Economic Cooperation and Development), using a procedure more normally invoked against multinational corporations. Survival International has launched a formal complaint about the activities of the World Wide Fund for Nature (WWF) in Cameroon. Survival International is calling for a new approach to conservation that respects tribal peoples’ rights. Tribal peoples have been dependent on and managed their environments for millennia. Despite this, big conservation organizations are partnering with industry and tourism and destroying the best conservationists and guardians of the natural world – tribes. They are the environment’s best allies, and should be at the centre of conservation policy.“They are letting the elephants die out in the forest at the same time as they are stopping us from eating,” another Baka man told Survival. 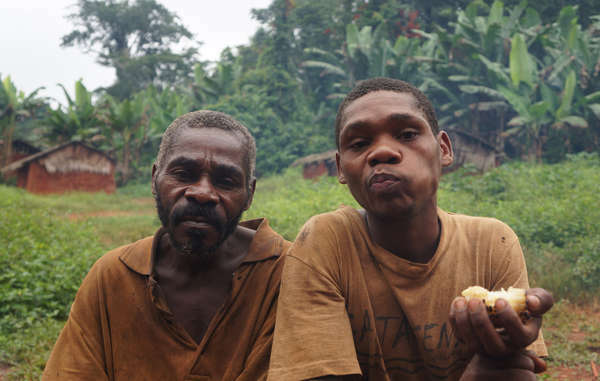 Today, the destruction of Baka land through logging, mining and the trafficking of wildlife continues, provoking concern among tribespeople that their land is being destroyed, even as they are denied access to large parts of it in the name of conservation. Note: “Pygmy” is an umbrella term commonly used to refer to the hunter-gatherer peoples of the Congo Basin and elsewhere in Central Africa. The word is considered pejorative and avoided by some tribespeople, but used by others as a convenient and easily recognized way of describing themselves. You lost me with “they beat me with machetes,” as in where are the cuts and/or scares and why is the guy still alive! Of course a lot can be lost in translation, but a machete is heavy enough that being hit by the broad side would certainly hurt. It may have served as a warning–get out or next time it’s the sharp side.